Weddings are often stressful events for the bride and groom to plan. With all the things that you will have to juggle on the big day (or hand off to your day-of-organizer), any foreseeable problems should be taken care of in advance. That’s why we’ve got these things you need to be on the lookout for. These concerns can be inquired about for almost every venue, and in most cases, can be adjusted for with the venue. If there’s nothing that can be done, at least plans can be made in advance. Here are some common problems at wedding venues that can be avoided or planned for with ease. Some wedding venues have incredibly limited parking or are in locations where a pay-to-park lot is the only option. This is something you’ll want to adjust for with your guests. Find out ahead of time if the venue has one of these restrictions. In the event of limited parking, consider looking for a parking area that can be rented (like an open lot, fairground, etc), then set up some sort of shuttle for your guests. While it creates an extra cost, it’s a very convenient way to assure your guests won’t have the frustration of searching for parking and a long walk. If the venue has a pay to park lot, see about getting enough parking paid for in advance. The venue should be able to produce some sort of parking pass that can be sent to or given to guests in advance. If not, a guest list can always be left with the parking attendant. If it’s a local public lot, try to arrange a validation for parking so they can send a bill. People will have to use the restroom at your wedding venue. That’s a fact of nature. The last thing you want is to have lines for the loo, or worse, men running to use a local shrub. That means you need to make sure there are enough restrooms for your guests. According to Brides.com, you need 1 restroom for every 25 people. So, when preparing your venue, take your headcount into consideration (yet another reason an RSVP deadline is important). If the venue doesn’t have enough restrooms, consider portable units. A few extra rentals in a convenient location will make sure everyone has enough room to do business. 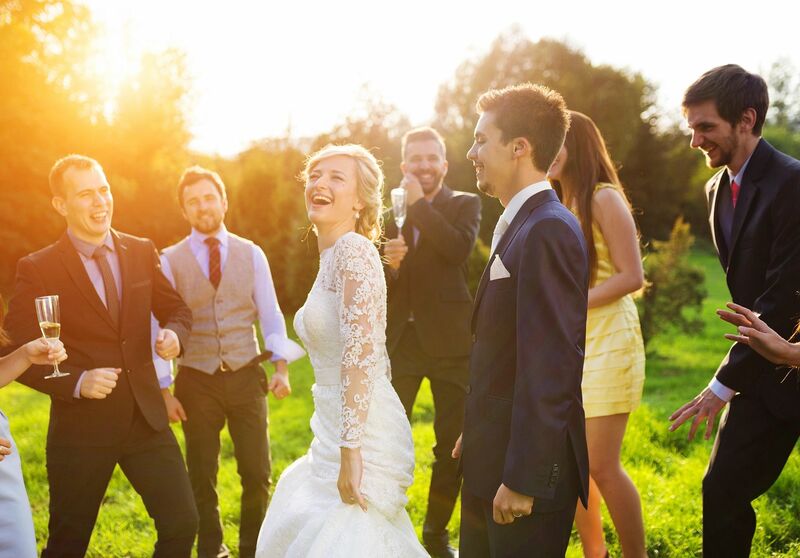 Your wedding reception is a celebration, which usually means loud people and music. When there’s a noise restriction, that can change the way your party is going to go. After all, you wouldn’t want your reception to be broken up by the police due to a noise complaint, right? Because noise restrictions are often due to city ordinances, make sure you understand them and know what you have to do. In some cases, a permit for an event can be obtained from the city that allows you to circumvent the complaint. Try to get one ahead of time. If that’s not an option, consider scheduling the reception to end before the curfew kicks in. That way you’ll be finished with the party before you have to worry about the volume. Because of fire and safety regulations, many venues have limits to the number of guests that can attend your wedding reception. Those limits will affect the number of people you can invite, so it’s important to know about them in advance. It’s not something you want to find out the day of your wedding. Try to book a venue with incredibly flexible guest limits. Something outdoors with lots of space tends to be more flexible than an indoor venue. If that’s not an option, you’ll need to adjust your guest list to focus on the people you most want to attend. Make sure your list fits within your wedding reception venue’s limits. Especially critical if you’re having a themed wedding reception, décor is integral to the mood of your event. It needs to be just right, or it can bring down the overall atmosphere. But some venues have limits to what you’re allowed to do that can get in the way. This is something you’ll definitely want to know in advance, so you can get creative. Most things can be overcome with an alternative. If decor that includes fire is an issue, you can replace candles with LED replicas. When you can’t hang things on the walls, consider trellises or other stands lining the floor around the walls. Whatever you have to achieve, a little outside-the-box thinking goes a long way. In the end, your venue must be a match for the reception you want to have. Thankfully, Riverview Recreation Park has all the flexibility and space your venue could need. Our amphitheater and Renaissance village, both set in the Santa Ana River Valley, will make a beautiful location for your wedding reception.